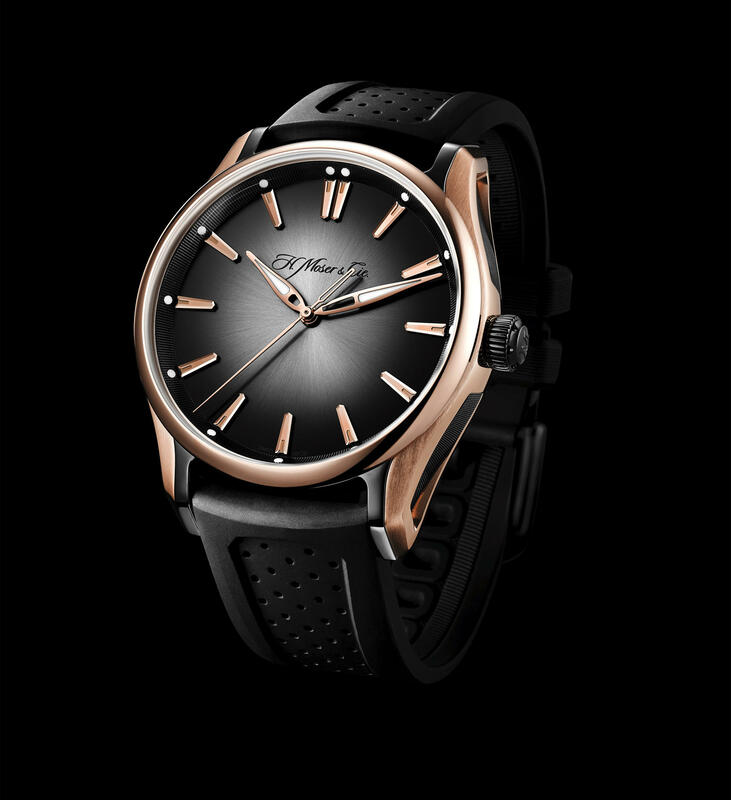 Luxury Swiss watchmaker, H. Moser & Cie, debuts their first sports watch – the Pioneer Centre Seconds. The new collection comes in three dial variations – all housed in a 42.8 mm diameter by 15 mm thick solid red gold and black DLC-treated case. Uniquely, the case flanks have been hollowed and have contrasting, fluted black DLC titanium inserts. 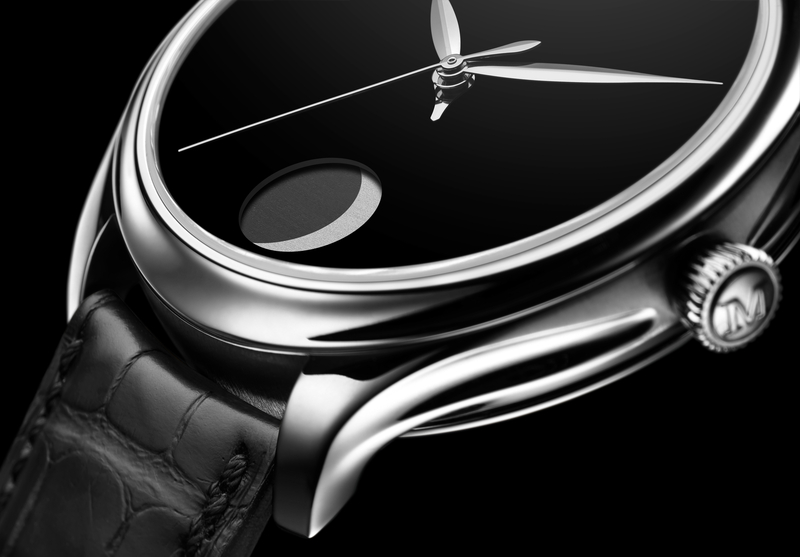 The black DLC titanium case components are also visible on the inside of the lugs and screw down caseback. The bezel is red gold and is curved to match the highly domed sapphire crystal. Differentiating the three models are the dials which are Argenté, red-gold fumé or ardoise fumé. Each dial is decorated with a sunburst dial, applied indexes in red gold with luminous dots corresponding with each hour on the fluted flange. The hands are leaf-shaped, partially-skeletonised and have a red-gold finish. 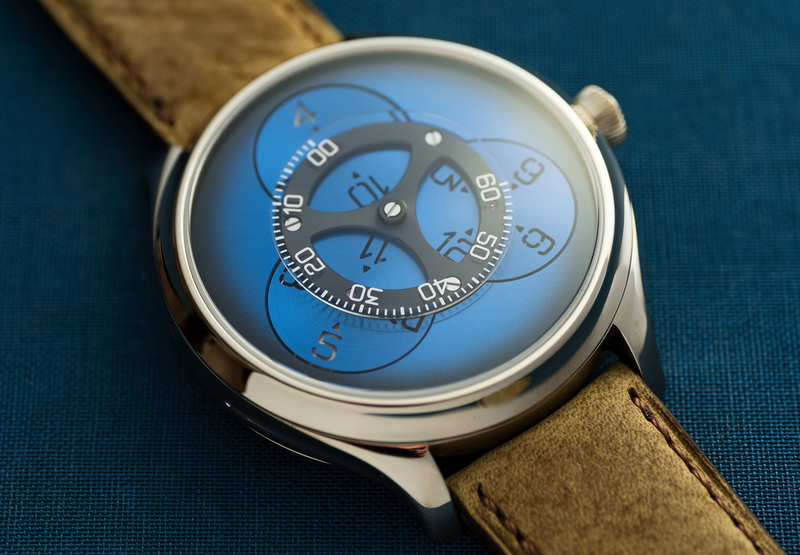 A see-through caseback offers a view into automatic caliber HMC 230. 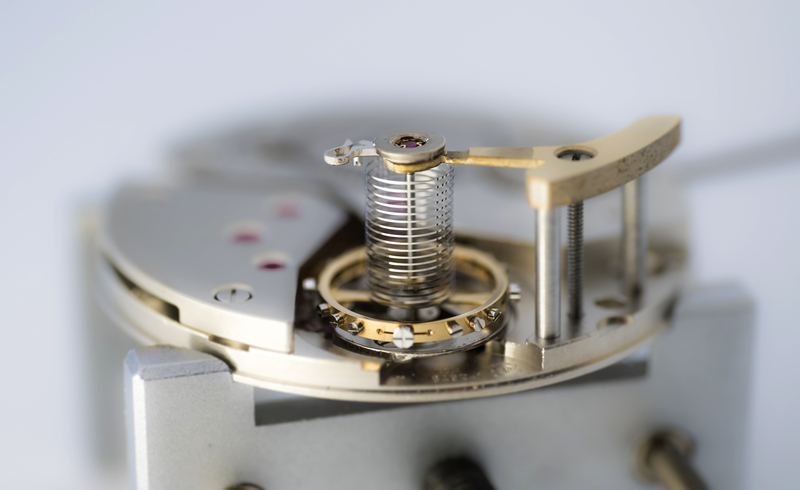 The in-house movement beats at 21,600 vph and has a bi-directional pawl-winding system. A black, skeletonized rotor features the company hallmark engraved in red gold. Maximum power reserve is 72-hours. The Pioneer Center Seconds is paired with a perforated black rubber strap and pin buckle in black DLC-treated titanium engraved with the Moser logo. The screw-in crown is in black DLC-treated titanium and adorned with an “M.” Water-resistant to 120 meters.